Jagadguru Kripalu Chikitsalaya achieved another important landmark on 2nd June, 2013 by commissioning its Naturopathy Hospital at the JK University campus in Banara, Dist. Cuttack in Odisha. The hospital aims to set a new standard in quality treatment of ailments, diseases and health disorders by effectively combining the ancient science of natural healing, Yoga, Meditation, Pranayam along with the modern scientific treatment techniques. The center has specialized and highly trained experts, teachers and instructors in the field of Yoga, Naturopathy, Diet and fitness training. Jagadguru Kripalu Chikitsalay achieved another important landmark on 2nd June, 2013 by commissioning its Naturopathy Hospital at the JK University campus in Banara, Dist. Cuttack in Odisha. 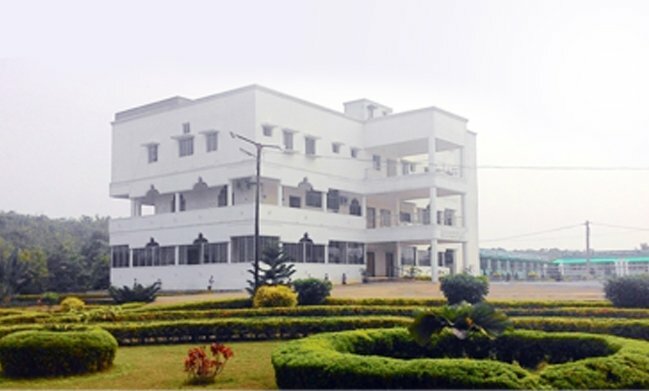 The hospital aims to set a new standard in quality treatment of ailments, diseases and health disorders by effectively combining the ancient science of natural healing, Yoga, Meditation, Pranayam along with the modern scientific treatment techniques. The unique treatment methodology is completely natural. The center will have specialized and highly trained experts, teachers and instructors in the field of Yoga, Naturopathy, Diet and fitness training. A dedicated diet center with experienced and qualified dieticians will ensure that the most suitable, nutritious and personalized food is provided for all guests to ensure their prime health. The center will source all its natural medicines and ingredients from the medicinal plant nursery within the campus. A dedicated ‘Goshala’ (dairy farm) is already under construction to cater to the needs of the hospital. A fruit and vegetable orchard will also being setup to provide the best natural source of food and nutrition for the patients. The center will also focus on treatment packages to cure stress, fatigue, anxiety and depression related problems that need personalized care and attention for inner healing. An integral part of JK University is the Yoga & Naturopathy College. The college is scheduled to be commissioned very soon. The college will offer training courses at graduate and post graduate levels in Yog Therapy and Naturopathy. A 5 year extensive graduate program, BNYS (Bachelor of Naturopathy and Yogic Sciences) will be offered to students aspiring for a professionally rewarding career as Holistic Health Care Specialists. The Yoga & Naturopathy College will have a research institute for study of Yoga, Naturopathy treatment techniques, Pranayam, Roop-dhyan Meditation and Subtle Body Relaxation. It will also host a centre for the cure of various diseases and clinical evaluation of the yogic approach to holistic health improvement. The college will have the following dedicated departments and research centers, to be commissioned in phases.